CHeck out youtube user Spacegoogie's maxmus arcade work. If you want these themes send him a message. Heh, nice work on snatching the HyperSpin "Press Start" and joystick artwork. BTW - HyperSpin 1.0 is being uploaded to the internets as I type this message. It's going to blow Maximus out of the water. It's going to blow Maximus out of the water. I am more than impressed with Hyperspin. I haven't had a chance to try the new one but I thought the restructuring of how themes are incorporating was a great idea. but as far as user friendliness... maximus still wins. Does Hyperspin 1.0 take some steps to address this? I mean... if it could automatically create game lists I would completely move over to Hyperspin. The Hyperlist maker program (can't recall what it's called) takes too long to figure out =/... all my game, movie, and snap file names match so it would be a pain to have to rename them all over again. I wouldn't mind renaming the wheel art to match my game titles. Also do you know if the Hypespin team has considered including .avi support? It would be no issue to download them again form emumovies, I'm just curious. This is more of an issue with console emulators, integrating MAME into Hyperspin was a sinch. Hyperspin wins hands down there. AVI Support - not going to happen. HyperSpin uses advanced animations for videos and AVI can't be manipulated like FLV can. As far as game lists go. HyperSpin and EMUmovies both use the no-intro naming convention when it comes to consoles. If your roms are no-intro sets then there shouldn't be any issues. I still prefer Maximus to hyperspin... hyperspin just doesn't look as good unless you have marquee, flv etc artwork for EVERY game. Maximus just need a snapshot to look good, and preferably a video. No doubt hyperspin looks good though, I just prefer having more games than the "popular games" and as it's art library is very impressive, it still needs work for the "default" schemes IMO. I didn't like the text at all when it went to a game that didn't have a marquee (or whatever it is called). If the "default" text looks better in the new version of hyperspin I'd love to see vids of the new version! At the moment, I'm a big maximus arcade fan. Honestly, the wheel images are almost complete... Many of the console systems have been completed and we are currently hovering around 70% complete with MAME wheel images. Pretty soon there will be no need at all for the text. Pretty soon there will be no need at all for the text. What about PC games/batch files? I'd imagine those will always be text. Along with games from systems other than mame. That's what I am kind of concerned with. That was the only big negative I saw with hyperspin. Hey Dazz thanks for the compliment... not really brother that's sarcasm. I don't think spacegoogies intentions were to steal anything from hyperspin, maybe he borrowed the flashing press start and joysticks. But I didn't put this post up for people like you to degrade it. Jason put alot of work into the theme and I don't understand why people like you feel they have to say some smart@$$ comment, instead of a compliment. HEH. In my opinion, and I'm sure that must others on here feel the same, Hyperspin blows all other frontends out of the water in the looks department. Instead of jumping on spacegoogie's back for using certain ideas from hyperspin, you should be glad that someone would want maximus to have a cool look like hyperspin. I will probably use hyperspin myself in the future. No need for b.s. on this site. Yeah, I like the the theme. Currently I am exploring Hyperspin.. and it does take a lot of time to setup, but it looks great once it's setup. 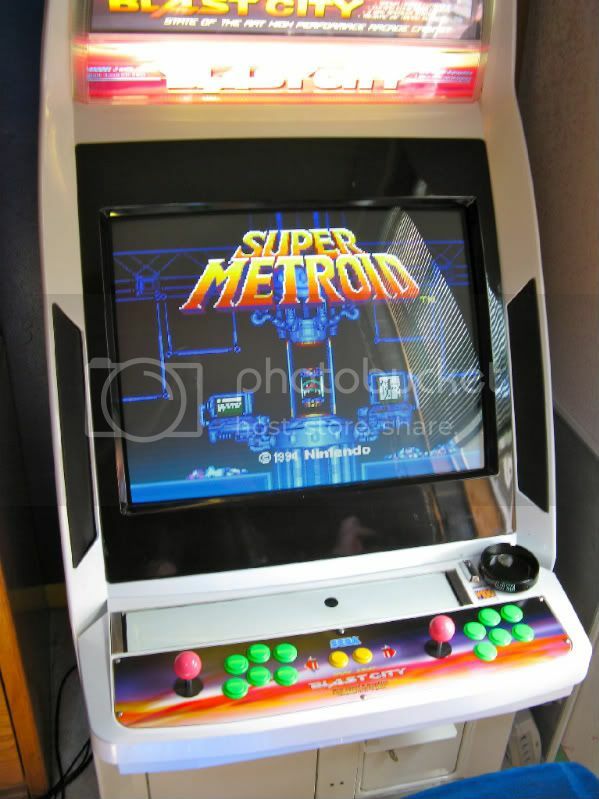 I think only the NES and MAME one's are at the point where they are finished (maybe gameboy advance too?). And by that I mean they have a image for each game and box art. If Mameseer addressed some of the issues with installing specific systems and providing a nicer theme (come on, why can't each system have it's own theme? )...and not taking almost a year for an update. I hope a new Maximus is released soon, I'd like to see what they come up with in response to Hyperspin. I would like to see some cool updates also shateredsoul. If each system had its own them I'd be real happy. I would love to use Hyperspin too. But it seems like too much work to set everything up. So I guess I'll stick with Maximus for now. yeah I feel you on that. I think it would be great if they had a preset up media folder of the complete sets on the hyperspin ftp. That way you could just download that one folder and it woudl have the most up to date wheel sets, themes, etc.. Then all you would have to add are the vids and bam. Hell, I think that would be a good idea to sell a preconfigured hyperspin. You can get the free one that takes a bunch of time to setup, or buy one that has all the latest media folders (and an auto update option to download the updates to the media folder with updates to sets). In this way you still provide the program for free, but then you have this other option that helps bring more income to the project. I think $30 would be a fair price for this.. I'm not sure if the 20 (or was it 25) for the transitions is a good price point though. I know I will buy it when I can because I want to support the project, but if I was just looking at is as a product it seems overpriced (so you may push away those who just see hyperspin as a product). Overall I love what Hyperspin does for mame and the NES looks great as well! I can't wait to see what they due for the console systems in terms of themes and genre lists. Maybe i'll add maximus arcade on the Hyperspin Wheel and Hyperspin on the Maximus FE so I don't have to choose. but.. that seems wrong for some reason..so so wrong, but so good at the same time. I am thinking of using the xbox 360 controllers for console games so I am glad they are fixing the compatibility issues. Very cool idea shateredsoul regarding both emulators in one. If HS was not such a pain to setup I would be using it as well. And no AVI Support? As far as "snatching" I guess you could say that, because I snatched it right out of the folder and dropped it into MA. Really, I do wish MA looked like HS (compliment). I would say that yes I'm trying somewhat to make MA look like HS. More colorful more alive. I'm trying to find away to do this. MA is limited when it comes to editing. I would definitely pay 30 bucks for a preconfigured hyperspin. I have already spent so much time setting everything up on my cab that I really don't feel like starting another time-taking project in Hyperspin. I'm not degrading your Maximus theme at all. I was just making a comment about the use of the HyperSpin graphics. I personally don't have an issue with that. I just find it funny trying to get other front ends to look HyperSpin'ish. Honestly, I used Maximus for a LONG time and I still have it on my cabinet. If I actually used my Maximus install then I'd probably use a theme like that. However, after learning how HyperSpin worked I find it just as easy to setup with the exception of rom/game lists. Even today I still knock HyperSpin because of how we handle game lists, but things are getting better. If you use No-Intro rom sets and keep your roms updated then you'll have NO PROBLEM at all with setting up roms in HS. People knocking HyperSpin because of the setup required... How long did it take you to setup your current frontend? HyperSpin doesn't take any longer, but there is a little bit of a learning curve. Once you understand the file structure of HyperSpin you can make it do whatever you want. HyperSpin is so customizable you could easily make HyperSpin look like Maximus, Mala or almost anything out there if you wanted. Every single graphical piece in HyperSpin can be customized. As far as no AVI support in HyperSpin... This is because HyperSpin can add animated effects to video and AVI can't support what HyperSpin does to the videos. You can't make an AVI spin in like in our new Atari 5200 theme. AVI's also require video codecs to be installed where as .flv does not. The file size for an .flv file even at a higher resolution is much smaller than an avi and this is why you see more and more frontends starting to support .flv video. As for pre-configured HyperSpin, how much are you asking to be "pre-configured"? Once we get our website back in order and the FTP more organized; as I configure my HyperSpin install on my cabinet I do create "minted" sets that include all the artwork. This includes themes, wheel images and box art all in one easy to download location. If you are asking for "pre-configured" including emulators and roms, that will NEVER happen. That's enough especially if this includes every emulator supported...even the ones that you personally might not be using. I went to put hyperspin on my main pc so I don't have to switch emulators in windows my big issue is the controls will not setup correctly on the SF4 te stick i'm trying to assign start and select presses simultaneously to quit the emulator and hyperspin will not take both key presses when I go to assign them. There was a bug in the recent release. Download the 1.1 update and it will fix this issue. I give out what I can give out... However, if you take time to learn the system you will get much much more out of it. I had to learn HyperSpin just as everyone else and still learning a lot as time goes. We have been very focused on getting tutorial both by document and video that should help with setting up anything you want in HyperSpin. Dazz I'm excited to see the tutorial. Give a man a fish and you feed him for a day. Teach a man to fish and you feed him for a lifetime. GREAT QUOTE, SO TRUE. No I'm not asking for the roms to be in there (that would be illegal!). I'm mainly talking about the data folder, and media folder (especially the media folder). Iit would include all themes, wheel set, and othe artwork, so I could just drag that whole folder in and have it overwrite old themes with updated themes, etc.. For example, if there were updates to the gameboy wheel pack, the snes themes, and 3do background all I would have to do drag the whole folder and it would auto update my folder. A preconfigured one for sale... might have all the emumovies set up as well. The profits could be split up between the companies. At the moment though my main concern is being able to access hyperspin again, I might have to do it through work form now on.. unless they blocked it on there as well. Funny, I thought this was a post about a Maximus Arcade Theme? I'm playing around with Hyperspin right now and.......I just might have to start using it. 1 thing,Please tell me there is away to disable the exitting of HS? Maybe to exit HS I could have it mapped to F1 or any button just not the same button that exits the game your playing? I don't want my kids to be able to get into windows. If there is a way to do this I think I just might have found my new frontend. Also is there anyway to get all the themes for the games in one download? Yes, in HyperHQ there is an option to disable the exit of HS. You can also remap the emulator exit key in the HyperLaunch script. As far as the downloads go; the downloads section is a work in progress. Our server downtime last week kept me from being able to get the downloads section in order before our new site launch. Unfortunately many of the download links are broken right now on the site. Everything should be available on our FTP server if you are a gold member. Regarding all in one download... As I get my HyperSpin setup; I'll be uploading my setup to the FTP server for others to download. This will include themes, wheel art, box art and pretty much everything except for emulators and roms. Once that is on the FTP then all people have to do is just download that folder and save it to their HyperSpin setup. Since I have to focus on getting the downloads section and also get my cabinet control panel re-built; it is going to take me a while before I get to getting my HS install setup and uploaded. Great Dazz! Now hopefully more people will be able to get on the ftp. I'm sure quite a few ppl are downloading the whole folder, and are unwittingly downloading the work in progress folder that they really don't need yet. I tried changing the AHK file and looking at other posts and did try things that were suggested. No luck. Also if I hit ESC to exit (the only way the emulators do exit for me right now) when I get back to the game select screen I can't seem to do anything. I was almost done, but had to give up to much to setup to many problems. HS like I sad does look AMAZING!!! OK, I just donated and am ready to take on this challenge. Wish me luck. Page created in 0.221 seconds with 70 queries.